This got me thinking, as is the intent of the TED talks, about why I wanted to participate in the Virtual Choir. When I first read the quote I just thought, "That's so sad. I didn't do the Virtual Choir because I am lonely and trying to forge some kind of fictitious connection with others." Suddenly, my mind was flooded with mental images of nerdy choristers locked away in their rooms, sweating as they tried to position their webcams to frame their face, and debating which concert black top to wear. O.k, so I am describing my own personal experience but I'm sure others had a similar one. I just thought it looked like a cool project. I always like finding new reasons to do music and recording projects on my computer. I can't claim that my intent was to form some kind of transcendental connection to other singers across the world, but who knows, maybe when I see the video debut in April I will feel differently. I still don't feel like I am seeking a way to connect with others, but I suppose at the base of it, that is what I am doing whether or not I want to admit it. A feeling of connection is definitely a possible byproduct of the Virtual Choir experiment, but not one that I was anticipating. I just feel that seeking a connection means that I am trying to fill some kind of unsatisfaction or void. Maybe I am and I don't know it? At any rate, it was interesting to muse over exactly why I felt the need to be one of the 54 people who contributed four video tracks out of the 2,051 submissions. I'd like to say that it was because I was seeking a way to connect to international voices... but that was not my intent. It just looked like a cool project that I wanted the chance to be a part of. As well, I've always had the type of personality that thinks "why do one when I can do two?!?" and the cascade of rationale continues, thus, the reason why I produced four videos. If I had the tenor and bass range, I would have recorded all eight parts. For those of you who submitted videos as well, why did you participate in the Virtual Choir? I'd love to hear your thoughts in the comments below! In direct response to your comments: I understand when you speak of not feeling the "need to connect with others" by way of this project. In the end it is just us ... alone ... performing for a project. I also believed that in a way, but as an active participant on the VC FB page before, during and immediately after ... this began to change. I did begin to feel community, as I was communicating daily with other members, feeling their frustrations or successes, and sharing mine. 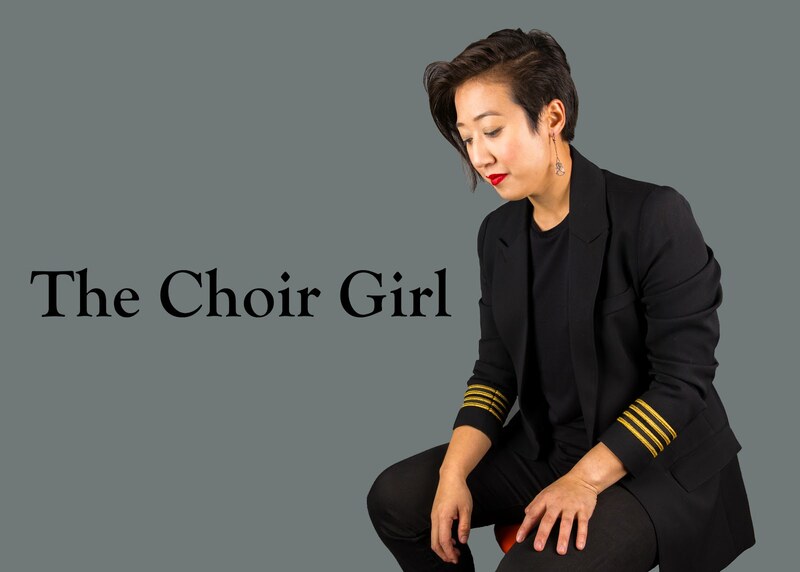 I allowed myself to open up to the possibility of it actually being a formal choir faced with the challenge of learning a piece towards performance. The only difference ... truly ... was we were not in the same practice hall or church doing so, the words were written instead of verbal, the struggle was not on members faces but in their written words. Once I opened myself to this, I really did feel a want to connect with as many VC choristers as I could. And I did. I have a full life in my reality, and have a family and all that, and I am a psychologically and emotionally healthy person but I would be lying if I said I didnt feel better about who I am, and how I feel about myself, because of what I did with and for the VC community. It should be known I did more than just upload 2 videos, I helped others at the 11th hour and guided, supported and gave emotional and technical support on the FB page for over a month. I was thanked by Tony and Eric personally for my contribution, and for a short time, I was part of the team. The question becomes ... do I feel good, only because of my direct heavy involvement? Would I feel less if i just uploaded a couple videos? Possibly. Either way, do I have a feeling of involvement in something special, and the warmth that that gives? Yes I do. I sang with various high level choirs in Vancouver, before moving to a much smaller town in the interior of BC, Canada. This 100,000 pop town in comparison, just does not have the same level of choices available. I still joined a few, and... regularly exorcise my need to be involved in this small but surprisingly creative musical community. I have become content with this change ... it is, what it is ... but I missed the precision and demands of singing with groups that reach for and achieve mastery of a piece of music, at that level. Although the singular performance dynamic of the VC also doesn't allow for tuning a song or creating live performance moments like these, the resulting video of Sleep will show little 'ol me singing "alongside" world class singers. Knowing that they all had moments struggling with and learning the piece, just as I did ... is a comforting and communal place. Although our "performance" actually occurred over months as apposed to minutes, I think of it as a group performance. Me ... while standing in front of the camera ... at the same moment 2000 others did. The difference is we gotta wait for the public performance, and the cool thing is ... I dont need to dress up on that specific day, but i might wear black anyway ... lol. Remove the stretched time-line, and I feel like I belong to a chorus and a community, the likes of which I never could have found in Vancouver or London or anywhere. Belonging is the natural consequence of community. I apologize if my post is too long here, great blog, I hope others share here. David Johnson, Kamloops BC, Canada Bass 1 and 2 and I would have done a tenor 1 and 2, but had a cold at the time and couldn't hold the notes. Thank-you for your beautifully detailed response! It's refreshing to have a reader take their time to express their thoughts because I love reading them. I definitely see what you mean about the connection not being something that you were specifically seeking but it was something that began developing afterwards once you got involved in the online virtual choir community. Interesting how our relationship with people and projects change over time! Thank-you again for sharing and I'm delighted to meet another one of my fellow virtual choir singers!